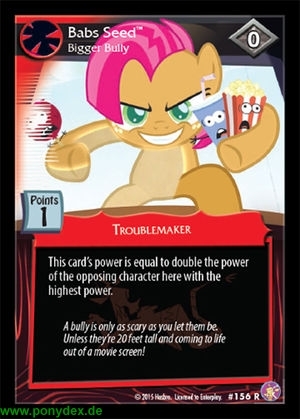 This card's power is equal to double the power of the opposing character here with the highest power. A bully is only as scary as you let them be. Unless they're 20 feet tall and coming to life out of a movie screen!